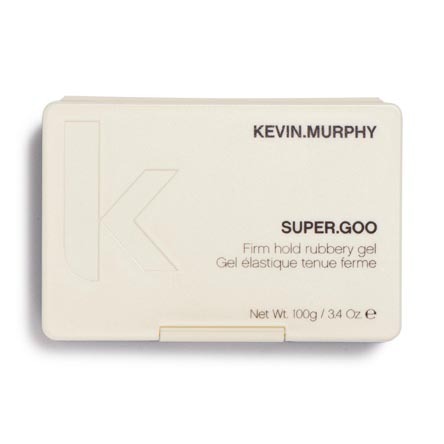 If you want to create super gorgeous looks, SUPER.GOO from KEVIN.MURPHY can help. This rubbery gel has a flexible yet firm hold that gives hair a piece-y, separated finish. “The unique texture has a rubber-like finish that works with both slick hair and styles that require strong hold with separation,” explains Kevin Murphy, stylist and founder of the KEVIN.MURPHY brand. “The final look definitely has a certain bounce that sets SUPER.GOO apart from other styling gels. Best of all, hair won’t lose style or shape thanks to the firm hold formula.” And unlike traditional gels, SUPER.GOO won’t flake or dry out. Your clients will love the bouncy, moldable styles that SUPER.GOO makes possible!